The island nation sits right atop two tectonic plates slowly pulling apart, drawing up magma from below. That fault line is the source of Iceland’s active volcanoes, which frequently belch lava and ash into the sky. But it also has a benefit: The country can easily tap geothermal heat and steam beneath the surface to generate electrical power and heat — all without any carbon dioxide emissions. Much of Iceland’s electricity comes from hydropower, but most of its heating comes from geothermal. But now Iceland’s going even further — or deeper, as it were. This fall, the country is drilling an unprecedented 3-mile hole in the southwest region of Reykjanes, hoping to reach even hotter magma far beneath the surface and generate even more power. Over in New Scientist, Fred Pearce has the details of what he calls “the hottest hole in the world.” Most geothermal projects harvest energy from hot rocks relatively near the surface, at temperatures of around 200 degrees Celsius. 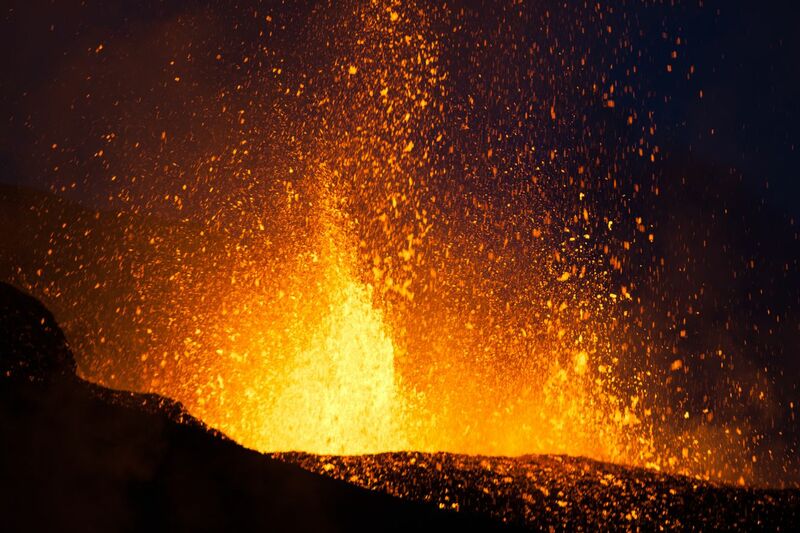 But the Iceland Deep Drilling Project (IDDP) is going much deeper, in search of hot magma reservoirs that generate temperatures between 400 degrees Celsius and 1,000 degrees Celsius. If that energy could be tapped, a single well could generate 10 times as much electricity as a conventional geothermal well. How big a deal would this be if it worked and could be repeated elsewhere? Well, it’d be a very big deal for Iceland (and its expanding battalion of tourists each year), who would have a fresh source of clean electricity. It would be a less-big deal worldwide. Not everyone lives near an active fault line, after all, which is why geothermal power has so far been pretty limited. That said, geothermal’s nothing to sniff at, either. The International Energy Agency estimates that with sufficient technological improvements and financial incentives, geothermal could provide 3.5 percent of global electricity demand and 4 percent of global demand for heat by 2050. Compared with low-carbon sources like wind or solar or nuclear, that’s a relative pittance. But geothermal can provide energy around the clock (unlike wind or solar) and it doesn’t have waste issues (unlike nuclear). So if we’re interested in halting global warming, it’s probably worth tapping as much heat from beneath the Earth as we can. Deep drilling in Iceland is certainly a start. Energy poverty is a real problem. Coal is a bogus solution. That's 4 straight debates without a single question on climate change. Good job, everyone.